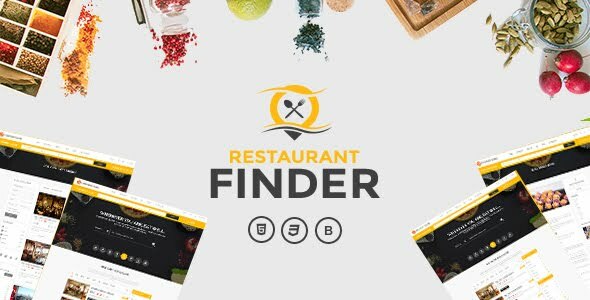 Food Restaurant is Ultra Responsive & Retina Ready clean and flexible HTML template. This is powerful template with tons of customization options, we have added a lot of design features and powerful functionality that you will love. Food Restaurant / Cafe / Bar template is the best solution for your business. Simply choose the template and layout that suits your needs, customize effects, headers, sliders and sidebars, choose from tons of useful elements (columns, blockquotes, buttons, and many more! ), and use as you like. Every template is fully responsive and retina ready, so your creation is guaranteed to look great and work perfectly on any device. The template is programmed using the latest HTML and uses the latest CSS to achieve a stunning effect. Also the template uses the latest jQuery library and the slider is built from scratch which allows you to edit it freely.